Online video is growing, and howdy. But the sheer volume of stats out there can be overwhelming. Forget about digesting the information, how do you even know which 2018 video stats to ingest in the first place? 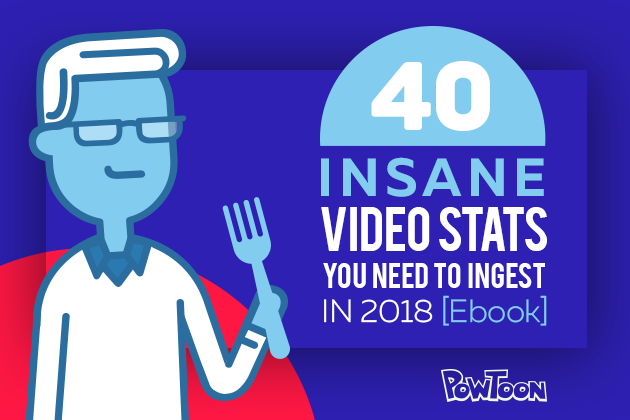 Our team has just finished digging up the 40 most insane (and valuable) online video stats around, so you can take full advantage of the growing phenomenon of online video without the indigestion of information overload. From the time you woke up this morning until this very moment, how much video have you watched online? And of course, let’s not forget those outrageously cute cat clips that you watch on the video monster YOUTUBE. 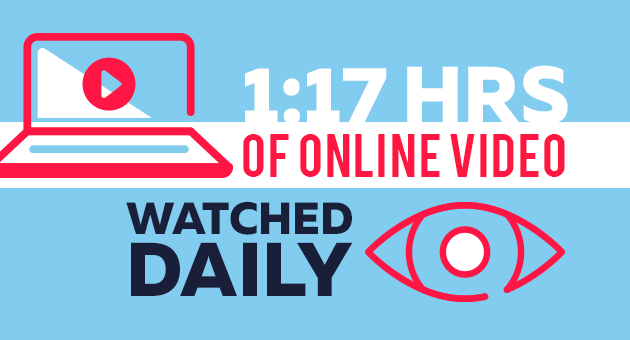 How Much Time Do We Spend Watching Video Online? According to Forbes, one-third of all the time people spend online is dedicated to watching videos. When you break that down to U.S. adults, the average is one hour and 17 minutes a day, according to Insideradio. That means if you add up email, social networks, podcasts, online radio, playing with apps and reading articles — watching video is already over 30 percent of that usage. From a sales and marketing standpoint, this is an INSANE figure. And we — as a society — aren’t slowing down; we will be watching even more video as time moves on. In fact, digital video is expected to grow by nearly ten minutes for every U.S. adult in the next two years — from 1:17 per person in 2017 to 1:26 per person by 2019. Ok. So that lays the groundwork for understanding just how much time we all spend watching online video. But how does that shake out in terms of the various video and social platforms? 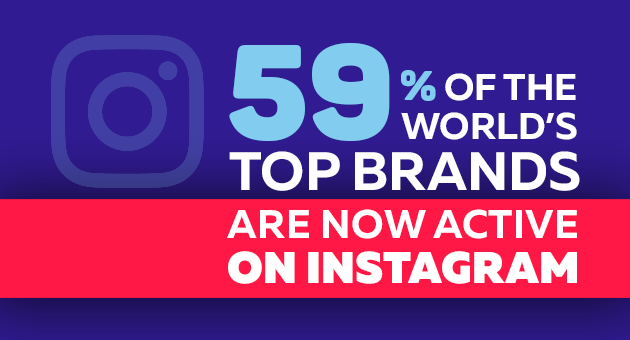 For the 18-34 and 18-49 year-olds demographic, YouTube trumps every cable network in the U.S.
59 percent of the world’s top brands are now actively posting Instagram video content; And when they advertise, 25 percent of those ads are video. 2018 Video Stats: Facebook… LIVE! It’s no surprise that Facebook is a major player when it comes to providing a platform for viewing video… but what is surprising is the style of video that grew exponentially on Facebook in the past year: Live Video. 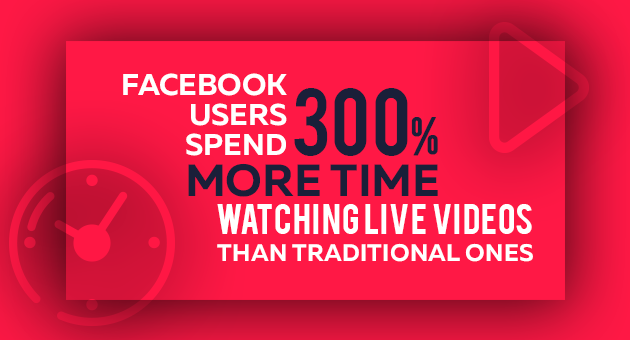 Facebook users spend 300 percent more time watching live videos than traditional ones. According to Entrepreneur, live video will not replace recorded video; rather, it will work alongside live video, adding interaction and urgency to recorded videos’ large audiences and wide reach. 2018 Video Stats: What Are We Watching? The answer is… we are watching many, many different types of online video — whether it’s an ad, recipe, movie trailer or selfie post. The next important question to ask here is: what exactly makes these videos so successful? According to the latest studies, the top watched videos must be: ephemeral, original and concise. People trust content that shows up and disappears. Technology changes so fast, and there is much of it out there, that we expect the video presented to us to be current and relevant. It all started with those risk-takers during the early years of YouTube; uploading covers of their favorite songs or just talking about the subjects that interest them most. Then it moved on to small business owners who produced live webinars and demos of their services. 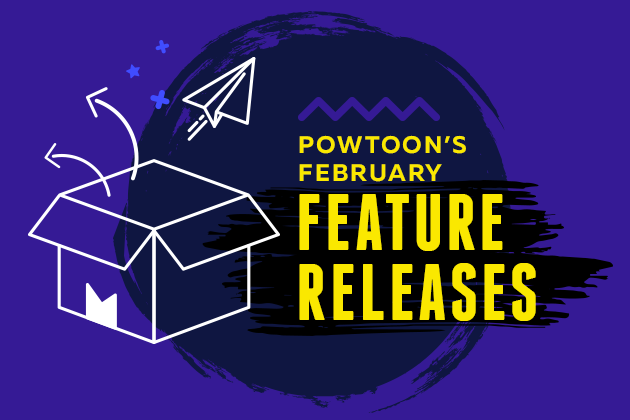 Now, even huge names like Netflix and Amazon Prime, who began as distributors of licensed content, are creating their own original TV series, specials, documentaries, and movies. Customers reward companies that are (or at least appear to be) sincere, and who produce their own original content. People have short attention spans, and video creators know this! So they have to tighten their content in order to convey their message in as little time as possible. According to HubSpot, most of the videos created in 2017 (over 56 percent) were less than two minutes long! That explains the success of incredibly short video content, like YouTube’s now famous six-second bumper ad format. Communicating a brand message in as little as six seconds might seem like an impossible task, but in video, sometimes that’s all the time a viewer can give you! Be sure you’re scripting your videos accordingly. 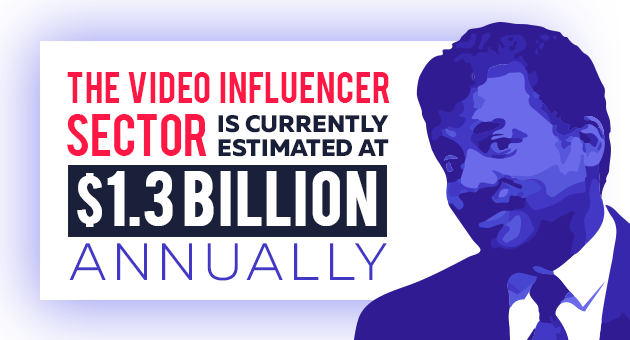 The video influencer sector is currently estimated at $1.3 billion annually. As the name implies, video influencer videos place the focus of their content on influential people; the Ronaldos and Martha Stewarts and Neil Degrasse Tysons of the world. But influencers are not limited to superstar endorsements. Proven experts in their fields who build their reputation with video are all the rage; like Elise Strachan of My Cupcake Addiction, or Gary Vaynerchuk — the self-made marketing guru. This post simply addresses the growth and emerging ubiquity of online video. We haven’t even begun to discuss the opportunities for marketers and brands who use online video well. Nothing is more powerful than video to bring diverse returns on your investment and to build trust and loyalty with customers. But the truth is, it’s not just marketers who can benefit from video. Online video is a big deal, for everyone. Companies who have not tapped into this arena should get started, and those who already have… Kudos! Keep fine-tuning your online video strategy. Ready to ingest the big video-stat picture? 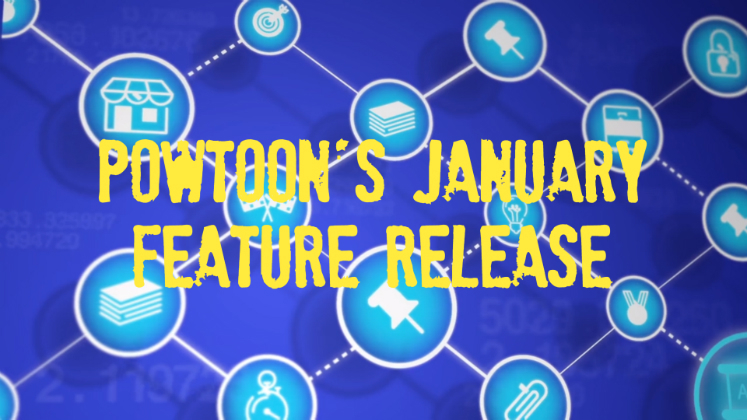 Click below to download the Great Big Book of Online Video Stats!